Welcome to another "What I ate today" food diary post. I would say it was an okay, healthy-ish day, of course I don't have a perfect diet - whatever a perfect diet could mean and be. I incorporate fruits and vegetable on a daily basis, sometimes I'll have meat or fish and sometimes I'll just go vegan. It all depends on my mood. Hope you like it! I like to start my day with fresh fruits or a smoothie. 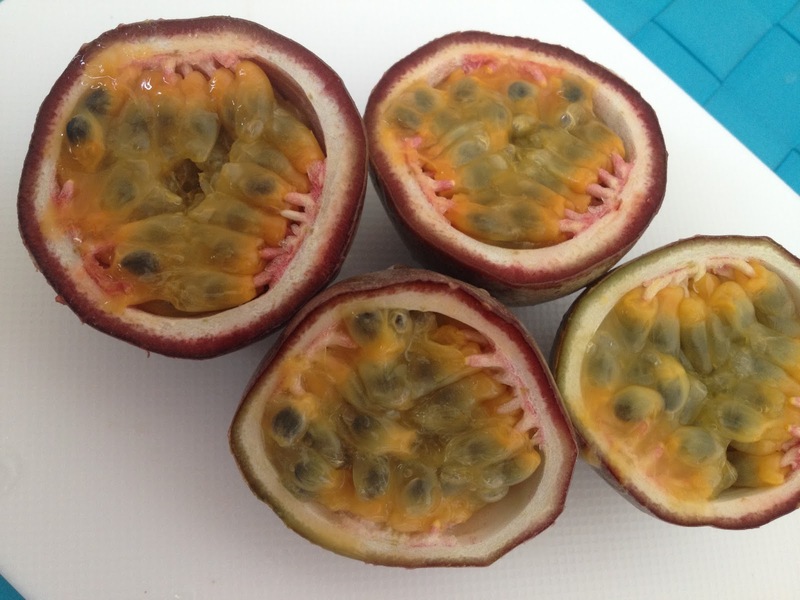 It's best to consume fruits on an empty stomach and todays choice was passion fruit. This has been a craving for some time and they were hard to find, but I finally got my hands on some. It's definitely a delicious indulgence. 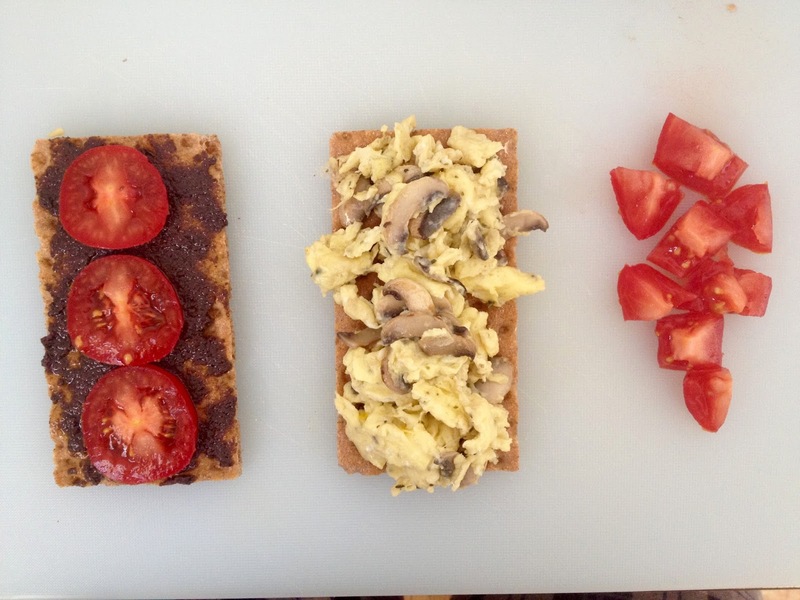 The second part of my breakfast consisted in rye crisp bread with black olive paste and tomatoes; the second rye crisp bread with mushroom scrambled eggs with a side of tomatoes. Lunch was very filling and tasty. 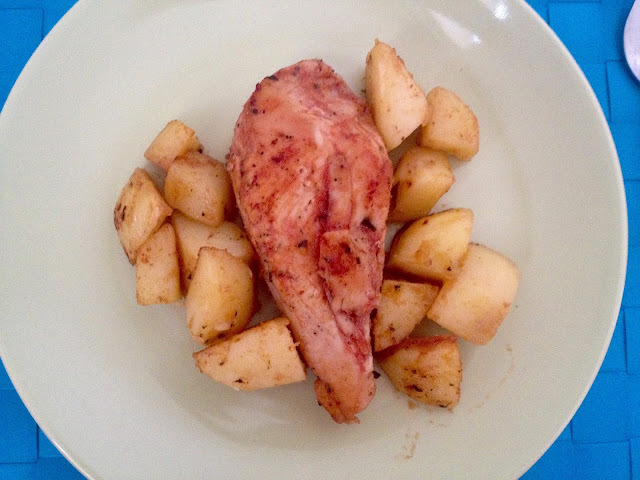 I had oven baked chicken breast with potatoes. 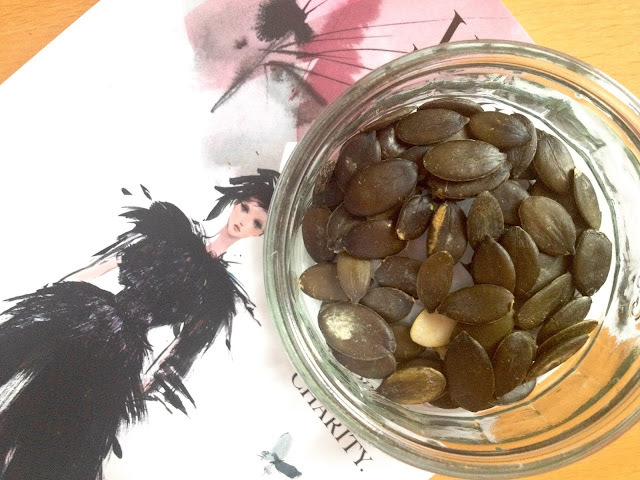 As a snack I munched on some pumpkin seeds. 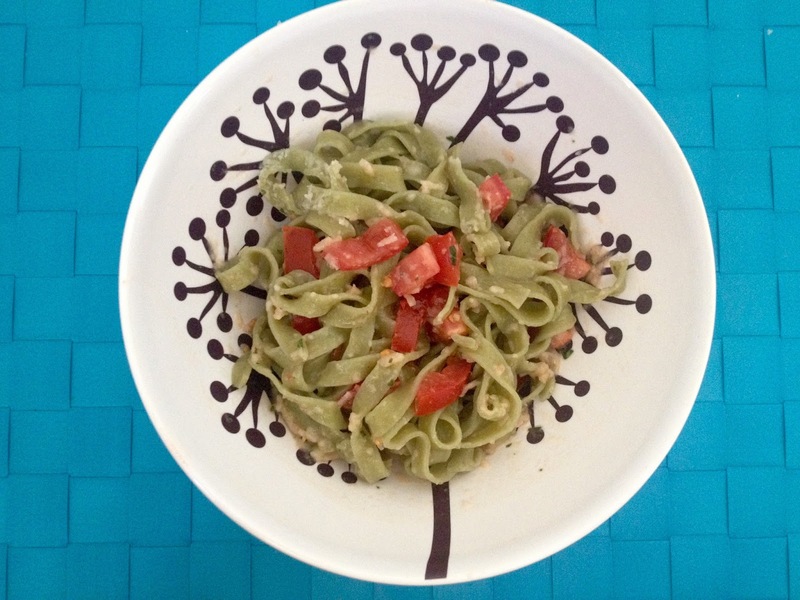 For dinner I devoured semolina spinach pasta with tomatoes, garlic and grana. Semolina is made from durum wheat and is a good source of B and E vitamins. 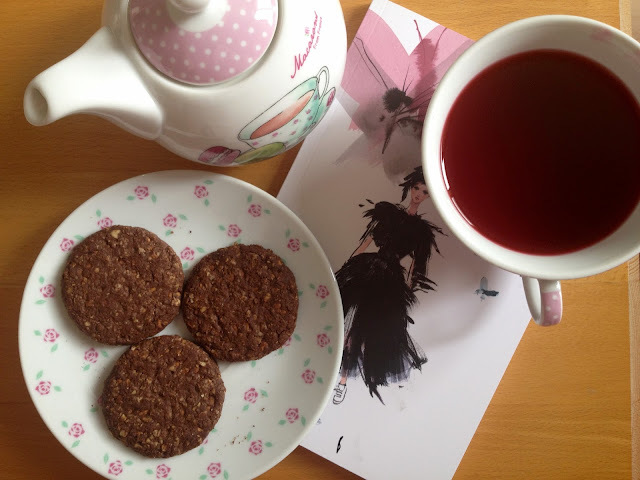 Raspberry Vanilla Tea and whole grain cookies with oats, nuts and cacao. The cookies are delicious and aren't too bad for you. PS: I would love a cupcake or some cake! You have a great blog, with amazing pics!